It’s here, the second half of the science fiction TV series from the 1960s, restored and remastered. It’s really only half a season and the creative team has been swapped out, but several gems are every bit as good as episodes from year one. Plus acting disc producer David J. Schow ladles on the extras like thick gravy … including promos and TV spots not seen since 1963 and ’64. As I tried to express in my openly enthusiastic review of the Season One disc set from last March, we kids and young teenagers were absolutely gaga about The Outer Limits back in 1963 and 1964. I’m afraid that we probably weren’t paying close enough attention when it tapered off and disappeared (in 1965?). By that time we were already into TV’sThe Man from U.N.C.L.E., plus there were attractions like James Bond and The Beatles to contend with. Discovering girls was a major distraction as well, if I recall. But on the non-hormonal plane, we knew little of the finer points of the show that we described as ‘like The Twilight Zone, only Sci-Fi and with more monsters.’ At the time, coveted movies with monsters and space ships and time travel were not everyday fare, and we certainly didn’t complain about OT’s sometimes- primitive special effects. We didn’t know that the show’s creators had between them written Psycho and a notorious picture rejected by Hollywood, Private Property. All that would come years later, when film studies ballooned. I probably only saw a dozen OL episodes when they were new but caught up with almost all of them later in perpetual syndication. It’s likely that the only credited names I knew were Harlan Ellison — his name turned up in books sold in Famous Monsters — and some of the effects people of Project Unlimited, especially Jim Danforth. Kino’s The Outer Limits, Season Two disc set has the full story of the series, mostly moderated by the author of the major writing on the TV series, David J. Schow. That’s not a bad thing — rather than territorialize the subject , Schow opens it up to a wide variety of input. Schow doesn’t shy away from explaining why the second season faltered from the start, and was canceled less than halfway through. Only 17 episodes were finished, half as many as the first season, and even as they were being filmed the network strangled them in the crib by tightening budgets. ABC apparently had contractual power over everything, for they moved the show from its weekday slot to Saturday night, across from killer competition on CBS — remember, before home vide, programming could not be time-shifted. The producers were replaced, as was the composer; directors like Gerd Oswald and Byron Haskin returned a couple times each, but much of the personnel was new. Quality-wise, the saving grace of Season two came with a secondary edict to adapt Sci-fi short stories, which gave author Harlan Ellison his first shot at Sci-fi fame. Schow argues that ABC kept insisting on monsters, but the episodes that really stand out rely largely on ideas. The two-part episode The Inheritors takes an rare humanistic attitude toward the notion of ‘space invaders.’ Ellison’s Demon with a Glass Hand is one of those totally original ideas that’s been copied ad infinitum. Speaking of the late, celebrated Harlan Ellison, Schow’s first commentary immediately addresses the controversy over similarities between Ellison’s OL shows and James Cameron’s 1985 movie The Terminator, letting us know that there was never a lawsuit, just a dispute quickly ironed out with a settlement. The lesson from that is that nobody ever won an argument against Harlan Ellison. Watching the first episode Soldier for the first time in decades, I was struck by other thematic details. The basic theme of Ellison’s own A Boy and His Dog is prefigured when Michael Ansara’s soldier reveals that cats in the future can communicate telepathically with humans, and serve as scouts in combat. The seventeen Season Two episodes and two alternate episodes are spread out over four Blu-ray discs, with most of the extras on disc #4. As only commentaries appeared in the Season One set, this is a pleasant surprise: I have fond memories of OL’s very unusual network promos touting the upcoming series. They worked like magic: I remember my father doing a double-take when the TV picture began fluttering, wondering if he should adjust something. 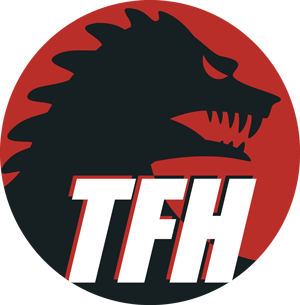 If you’re unfamiliar with the show but follow fantasy fandom elsewhere, take a look at who is providing commentaries for the various episodes. I admit that I first gravitate to shows that were nabbed by commentators I know. The Duplicate Man was the favorite episode of my co-editor Todd Stribich back at MGM, when the studio was toying with marketing masks of various Outer Limits monsters — as a child Todd thought ‘Megazoid’ was the ultimate name for a monster. Tim Lucas picked Duplicate Man to gab over, and I’m naturally interested in why he was attracted to it. A future warrior is accidentally sent back in time. A returned astronaut begins to undergo a physical transformation. Daniel B. Ullman wrote William Cameron Menzies’ The Maze. A two-dimensional creature slips accidentally into our 3-dimensional world. 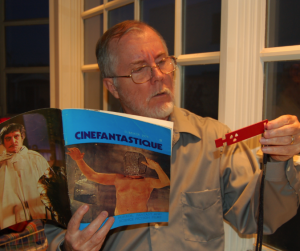 Writer John Mantley wrote the short story source and screenplay for the controversial science fiction film The 27th Day. Secretive university professors experiment with consciousness-expanding drugs, creating a Timothy Leary monster leading to tragedy. A lone human discovers that he was created to preserve the human race and save it from alien invaders. Tumbleweeds and rocks in the desert have been possessed by an alien intelligence. A second Mars expedition arrives to find out why the astronauts of a first Mars expedition disappeared. They begin to disappear, too. A scientist grows a miniature version of a alien planet, complete with possibly dangerous alien life forms. A robot man built to serve and protect humans, is put on trial for murdering its creator. An army intelligence officer discovers that four ex-soldiers are involved in a strange conspiracy. Under alien control, the four conspirators are kidnapping handicapped children for their mysterious project. An alien prepping a spearhead solicits an weapon from an inventor, and tries to discover for himself what human emotions consist of. A millionaire’s illicit outer-space Megazoid escapes, and to track it down he pays a bribe to create an equally illegal clone of himself. A nine-month space travel simulation is interrupted when a real alien hijacks the experiment. America’s best astronaut falls sick just as he is needed to lead a flight to Mars, so his brain is kept alive separately, to lead the expedition from a glass container. A man and his wife become unstuck in time, and realize that their daughter is about to be killed in a car wreck. Story writer Ib Melchoir wrote and/or directed several ’60s science fiction movies, beginning with The Angry Red Planet. Four plane crash survivors are trapped in a space probe commanded by alien blob. Felix Feist directed the post-apocalyptic sci-fi Deluge and a feature version of Curt Siodmak’s Donovan’s Brain. The KL Studio Classics Blu-ray of The Outer Limits, Season Two is a handsomely mastered four-disc set. The episodes really pop in HD, even though most of the cinematography in Season Two is less stylized — Kenneth Peach’s images are clean, but not as artistic as the work of Conrad Hall. Likewise, Dominic Frontiere’s eerie music score was replaced by the serviceable but less distinctive work of composer Harry Lubin — the cues are aligned in a more conventional manner, and the opening signature wail sounds almost exactly like Lubin’s music for the TV series One Step Beyond. OL fans will be strongly attracted by the set’s long list of extras on the fourth disc. First up are two full ‘alternate’ shows. The Unknown, an alternate cut of the first season episode The Forms of Things Unknown, is a pilot for a proposed spinoff show. It comes with an optional audio commentary track by Dr. Reba Wissner. Please Stand By is the original cut of The Galaxy Being, the pilot shown to sell ABC executives on the concept of The Outer Limits. Eric Grayson provides the commentary track. The lengthy list of extras are largely sourced from items preserved by David Schow. One relates to the show’s reboot in the 1990s, and quite a few are promos and ‘bumper’ material for a cablecast festival on a TNT ‘MonsterVision’ program. Outer Limits stars and writers were assembled for promotional interviews, and Schow gives us access to uncut taped interviews. In 2000 the Museum of Television and Radio showed the pilot episode and hosted a full round-table discussion with key personnel, including the producers Robert Justman, Lou Morheim and Joseph Stefano, cameraman Conrad Hall and actor Martin Landau. The entire feature-length taping is here. Mr. Schow also provides an insider narration for a ten-minute look inside the walls of Project Unlimited sometime in early 1963. We see effects being shot for an OL episode, but also props and monster puppets for pictures by George Pal and A.I.P., many designed by Wah Chang. The original ABC promos that wowed us in ’63 are spread across the first three discs, but saved for disc four is a wonderfully tacky seven-minute promo introducing the series, perhaps to network affiliates. It begins with some terrible animation and then segues to Edie Adams singing an introduction in a ‘big hair’ hairdo. The teased scenes are of course from The Galaxy Being. Tying the set together and serving as a guide is an insert booklet written by David Schow. The writer has spent most of his life as the official keeper of the keys to the OL universe, and has maintained a fair and balanced attitude toward its successes and failures. A number of episodes are not winners, but the series comes out decidedly ahead in the originality and quality competition. I have only one formatting gripe for the set: it’s a shame that the two parts of the double episode The Inheritors ended up on different discs. Somebody should have risked a federal racketeering charge and changed the order. It’s a particularly fun episode for me because it appears to have been filmed in my neighborhood, a few blocks from where The Outer Limits was produced. HD resolution allows me to read house numbers and street signs. I also found and heard the audio defect on the episode Soldier, that’s making the rounds on web boards, etc.. It’s a slight warble on the soundtrack that lasts for a couple of minutes, and is not a deal-killer. But Kino has announced a disc replacement plan. Supplements: Two extra episodes: The Unknown — the alternate cut of “The Forms of Things Unknown,” with a commentary by Dr. Reba Wissner; Please Stand By — the alternate cut of “The Galaxy Being,” with a commentary by Eric Grayson; 12 TNT Promos with Robert Culp, Harlan Ellison, Martin Landau, Cliff Robertson, William Shatner and Leslie Stevens (21:55); Showtime Interview with David J. Schow (22:45); Featurette The Outer Limits Phenomenon (12:08); TNT extras: Penn & Teller host segments (20:41), Cliff Robertson of ‘The Galaxy Being’ interview (36:00), Joseph Stephano interview (64:07), Joanna Frank of ‘ZZZZZ’ interview (21:02), Casting Director Meryl O’Loughlin interview (23:44), Anthony Lawrence interview (9:14). Creature Features with David J. Schow (2:39); The Museum of Television & Radio’s William S. Paley Television Festival – The Outer Limits – March 10, 2000 – with guests David M. Schow, Robert H. Justman, Lou Morheim, Conrad L. Hall, Martin Landau, Joseph Stefano (73:09); Project Unlimited with commentary by David J. Schow (10:28); ABC New Year’s Promo (0:43); What’s New on ABC? — 1963 Promo with Edie Adams (6:32); 5 TV Spots (4:30). Illustrated insert booklet with essay by David J. Schow. Packaging: Four discs in plastic and card disc holder in card sleeve.